Brussels (AFP) - The Belgian capital was on lockdown Tuesday following deadly explosions at Brussels airport and on a metro train which killed more than 30 people and wounded over 200. Belgium hiked its terror threat to its highest level after the carnage wreaked by the early morning blasts, just days after the capture of key Paris attacks suspect Salah Abdeslam in the heart of the city. The transport networks were shut down, with trams, buses and trains brought to a standstill and the European Union quarter completely sealed off by police. "If in Brussels, stay where you are and do not travel without reason. Stay inside," the Belgian national crisis centre said on its website. The chaotic scenes in Europe's capital recalled the days in the wake of the November Paris attacks, when Brussels was put on lockdown for five days as officials warned of an imminent threat as they searched for key suspect Abdeslam. The European Commission, the EU's executive arm, said it was urging employees to stay at home or remain indoors. About 25,000 European civil servants work in Brussels, many just hundreds of metres (yards) from the metro attack where around 20 people were killed and over 100 wounded. 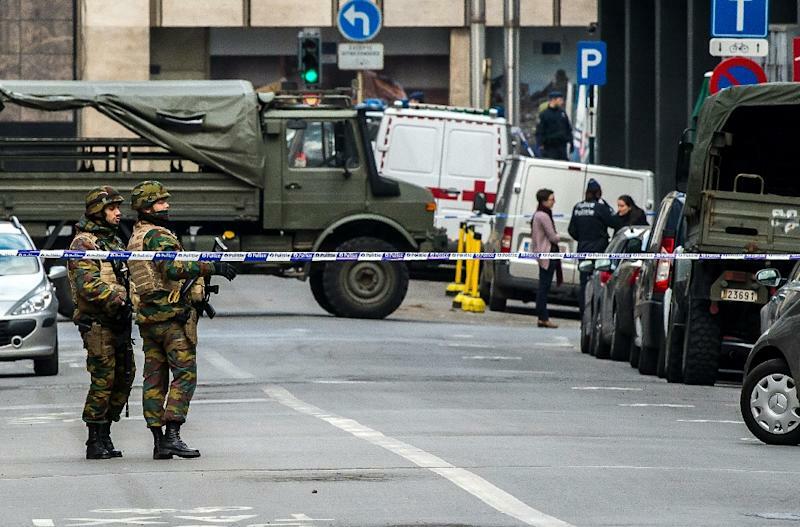 Brussels authorities also urged employees already at work to remain inside throughout the course of the work day. The landmark Grand Place was deserted with several museums and other top tourist destinations in the city's historic centre closed. The government also asked residents to refrain from making phone calls and to communicate via text message and instant messages so as not to overload communications systems. "Please everyone, prioritise communication over WiFi (WhatsApp, Facebook, Twitter etc)," said Telecoms Minister Alexander De Croo in a tweet. Around 30,000 students were sent home from the capital's main universities, reversing an earlier decision to let classes go ahead. Schools were open but the education ministry urged administrators not to allow children to go home unaccompanied. Major shopping malls were shuttered and would be at least until the end of Tuesday, Belga news agency reported. Low-cost shopping chain Colruyt said its stores remained open but that it was monitoring the situation closely.